iWood is proud to announce that after only seven months of trading, we have had to "knock through" to the unit next door to allow more warehouse space. This now gives us double the storage capacity! The following action shot was captured moments before a satisfying "thud". 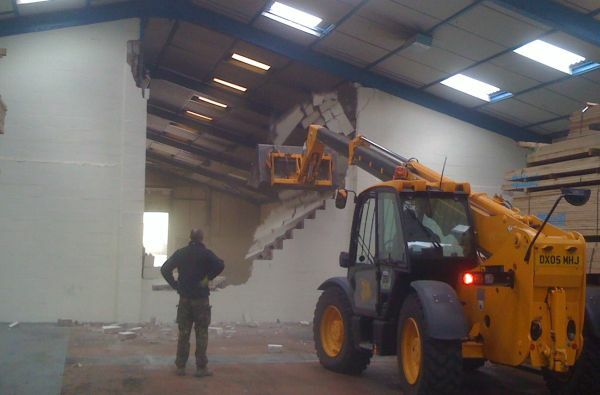 The demolition of the partition wall. iWood expands!